As we step further towards mid-winter in the North, the days become shorter, and darker. It is a time to enjoy a cosy fireside pub in the heart of Scotland, sip a warming dram of pure whisky, and succumb to a sense of nostalgia as you watch the fire crackling. It is the perfect time to get romantic, and not just over a candlelight dinner for two. Exploring the dramatic landscape of Scotland is an experience that is bound to lighten the heart even on the darkest chilliest days. At the edge of Autumn, and the beginning of Winter, as the last leaves flutter to the ground in a golden flourish, and the frost sparkles in the dusky light, Scotland is rich with atmosphere and romance. 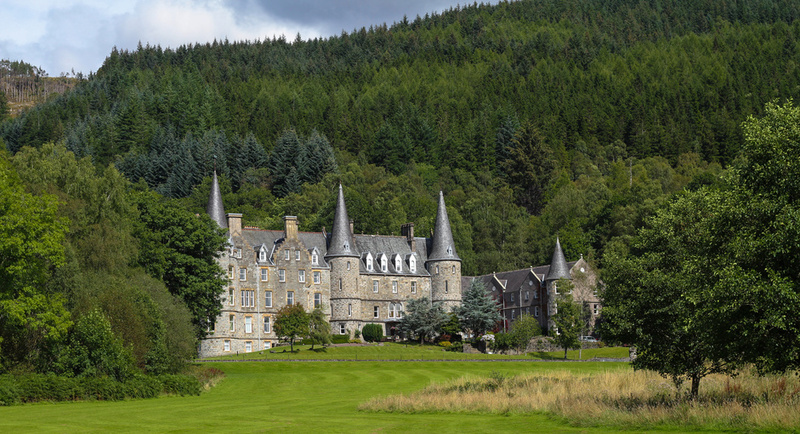 On our Royal Scotland tour you have the opportunity to visit one of the most romantic locations in Scotland – The Trossachs and Loch Lomond National Park. This region, often known as ‘The Scottish Highlands in Miniature’ refers to an area of wooded glens, braes and lochs situated on the boundary between the Highlands and Lowlands of Scotland in Stirlingshire. A glen is a valley, often long and deep with a river or watercourse running through it, a brae is a slope or a brow of hill, and a loch is a lake. 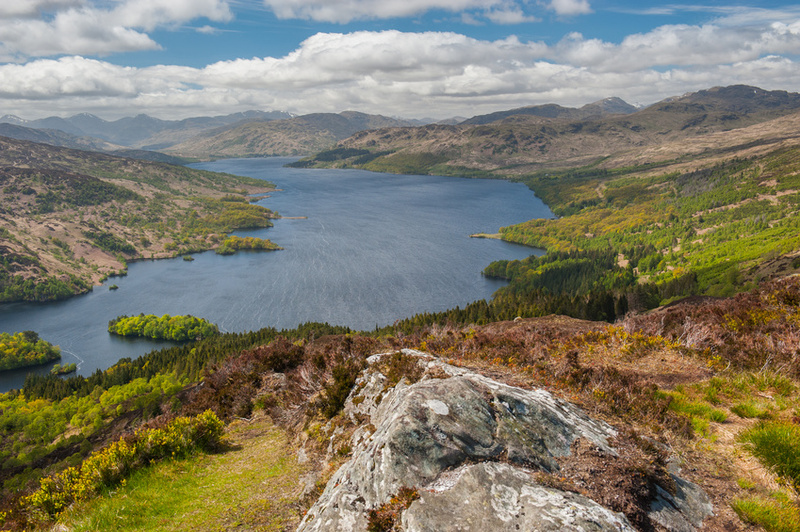 Loch Lomond is the largest inland stretch of water in Great Britain by surface area. 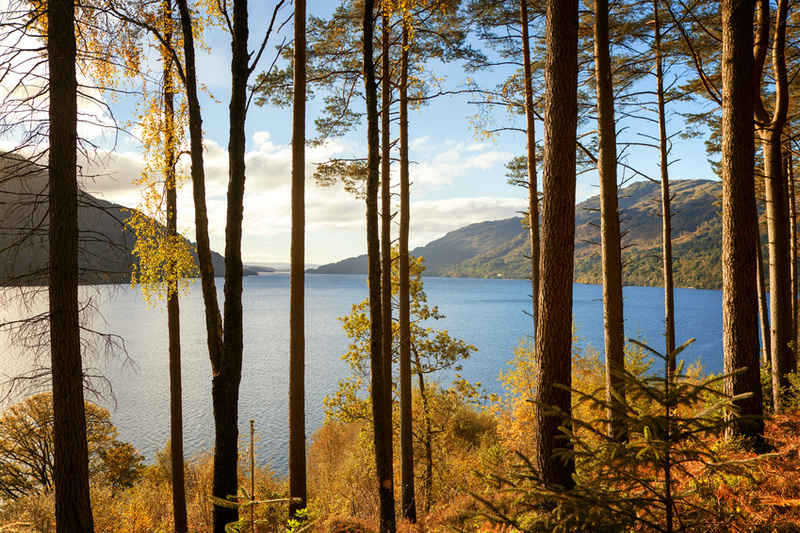 Loch Lomond & The Trossachs has long been appreciated as an area of stunning natural beauty. A favourite destination of Queen Victoria’s, the monarch had a holiday house built overlooking Loch Katrine. It was Sir Walter Scott, who immortalised the area in his narrative poem ‘The Lady of the Lake’ first published in 1810. The poem was hugely popular in the nineteenth century and inspired the Highland Revival. One of the stories within the poem tells of the contest between three men to win the love of the beauty, Ellen Douglas, and indeed the nature that Sir Walter Scott describes is redolent with sentiment. The deer has sought the brake. It is impossible not to feel a sense of the noble and splendid history of the Highland clans in this region of Scotland, as well as feel moved by the aching beauty of the landscape as it turns seasons. Other Victorian Romantics inspired by The Trossachs was the leading Victorian art critic John Ruskin and the Pre-Raphaelite painter John Everett Millais who spent the summer of 1853 in Glen Finglas in The Trossachs where Millais began painting a portrait of John Ruskin. It was during this summer that Millais fell in love with Effie Ruskin, which ultimately broke up the Ruskins’ marriage and destroyed the friendship between Millais and Ruskin. 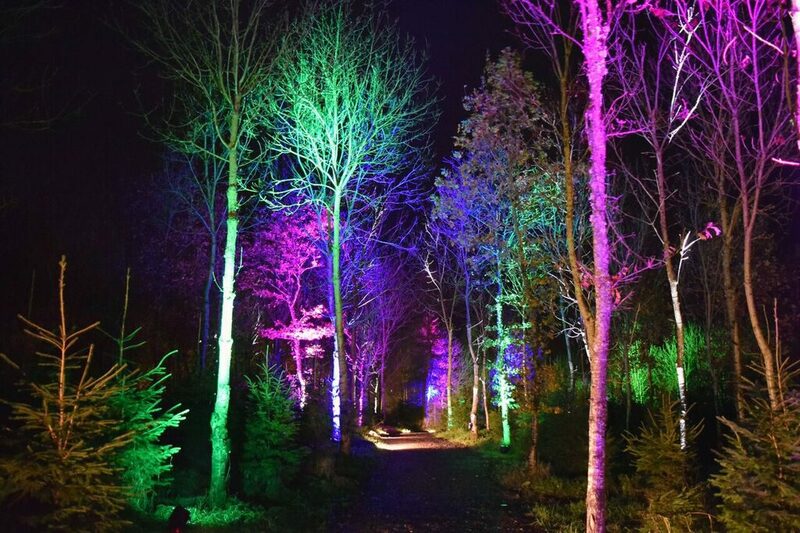 If your trip across Scotland takes you through Loch Lomond National Park in November, you might wish to take a detour to visit The Woodland Light Experience at the family – run North Ballochruin Farm near Balfron Station. 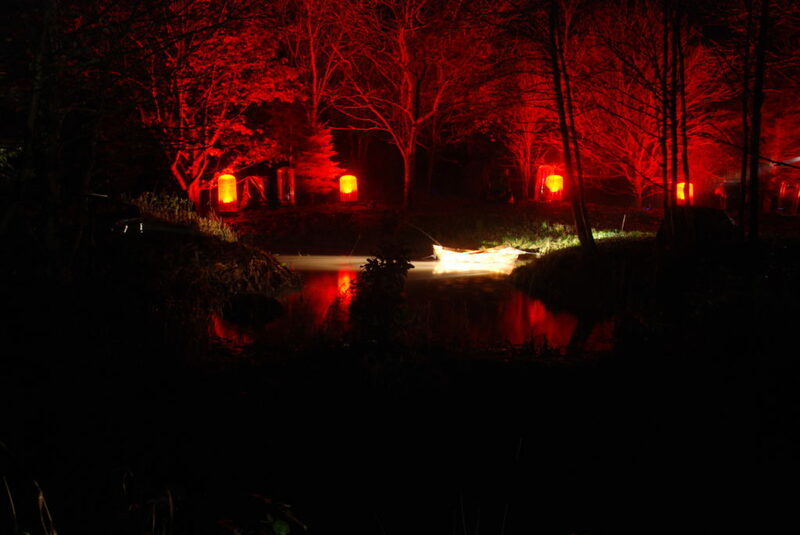 As you stroll through their woodlands after dark, you will enter a magical world of light and sound, with stunning light projections, incorporating the natural landscape, shadows, light, music and water. The theme of this year’s show is Transitions (4 – 20th November every evening between 4.30 – 8.30 p.m.), an inspirational light filled experience that will open up your heart. The walk takes between 45 minutes to one hour, so be sure to wrap up warm and snug. To keep the winter chills at bay, delicious gourmet meat pies, by award winning local butcher, T&R Skinner of the Extraordinary Sausage Company are on sale, and hot drinks are served at the Hub where the display concludes. If you miss the Woodland Light Experience, you can also visit Santa at the farm up until Christmas, or even search for fairies on their Woodland Fairy Experience! 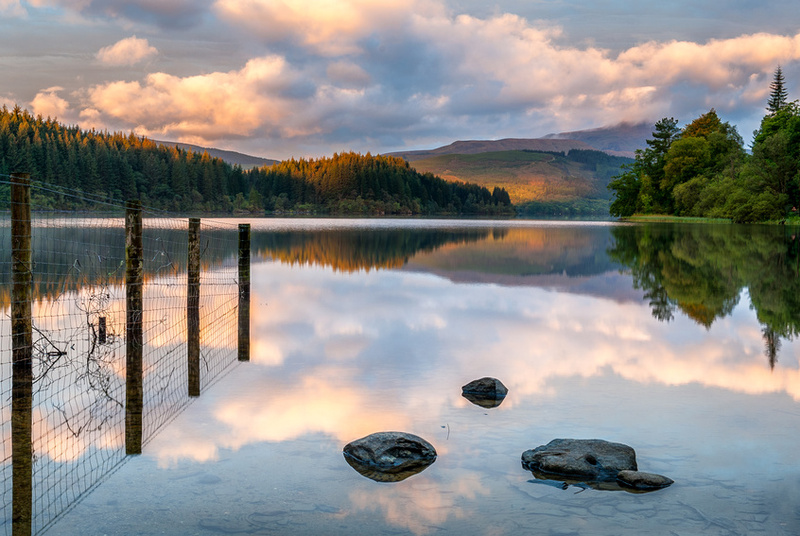 The Trossachs is a region rich in folklore and fairy legend, a landscape that can move the most rational mind, and inspire love on an even deeper level.